I love the smooches in the new Mwah stamp set from CAS-ual Fridays Stamps! Michele really outdid herself here! There's a great mix of block and curvy, graceful sentiments. In my card above, I repeatedly stamped the smooches using a little tone on tone with the pink, then heat embossed the "mwah" with Cherry Cobbler embossing powder for a little drama. In my next card, below, I went for a more old-fashioned look I thought would be perfect to send to my mother. I heat embossed the block sentiment "with all my" using silver embossing powder, then heat embossed "heart" using white embossing powder. Isn't that scripty "heart" awesome?! Can you tell in the photo I used the CAS-ual Fridays Stamps Heart Board Fri-Dies? Love that die and stamped right on top of it! 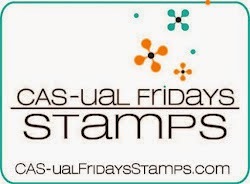 You'll want to head over to the CAS-ual Fridays Stamps blog now to see all the beautiful cards from the rest of the design team, so many different styles and looks! 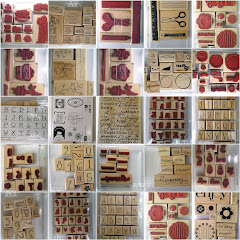 Plus, leave a comment for a chance to win this new stamp set! I'll be back tomorrow for day 2 of the new January release! Accessories: Heat Tool, SU Cherry Cobbler embossing powder, Pink Posh Designs sequins. Cardstock: SU Pool Party, stripe paper Studio Calico, red paper Carta Bella, floral paper from my scrap collection. 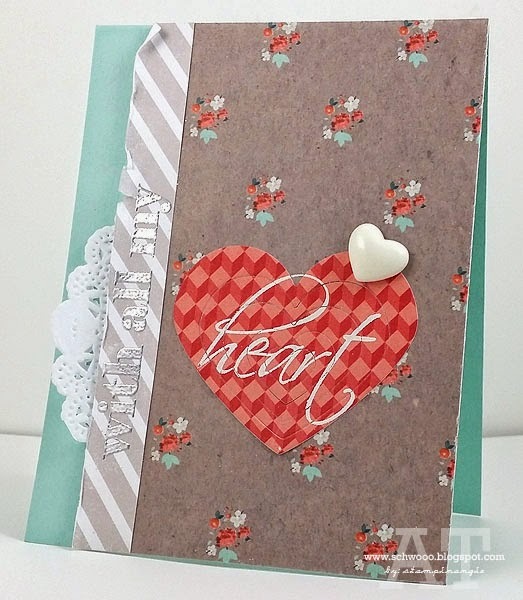 Accessories: CAS-ual Fridays Stamp Heart Board Fri-Dies, Big Shot, SU doily, silver amd white embossing powder, heat tool, white heart from Studio Calico kit. Do you believe how many times I've looked for a solid heart die cut? Um, hello, just use them all like you did here! You're a smart cookie, Angie : ) Wonderful cards! Fabulous designs :) I am so in love with ur second card, what a lovely use of patterned paper ! Absolutely SWEET Angie....happy new year!! !